What a good samaritan Juan Sebastion Veron is. It is alleged that the ex-Man Utd, Chelsea and Inter star had initially turned down a £7 million move to Man City earlier in the week but has been forced to reassess his snub because the fee involved is so high it would pay for a new stadium for his current club Estudiantes. Veron has been asked by his hometown club, of which he is now captain, to mull over the offer as the transfer fee would cover the completion of the new ground and ten years worth of operating losses. Roberto Mancini is said to be keen on the Argentinian playmaker, with whom he was a team mate at Sampdoria and Inter, and has offered a bumper £130,000 a week deal to entice Veron to Eastlands. ‘Seba’ is currently enjoying a renaissance in his home land after an underwhelming spell in the Premier League. He has recently retained the South American Player of the Year title after guiding Estudiantes to Copa Libertadores glory earlier in the year and has been a fixture in Diego Maradonas national squad. 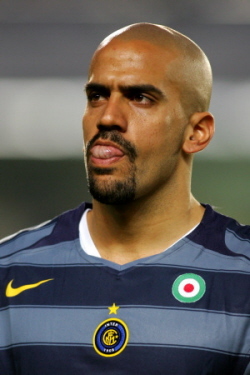 At 34, I think Veron wouldn’t risk a move back to the Premier League. He is held in extremely high regard at Estudiantes as a ‘returning hero’ of sorts and I can’t see him compromising going out on a high for what may turn out to be just another session of high profile bench-warming. What do you reckon people? Is Veron past it? Or is he just too much of a nice guy to turn down £130,000 a week? Too slow and old for the current demands of the Prem, methinks. Hmm I here kevin kilbane is surples to req at hull maybe man city could offer hull 15M and the player 200K a week cause he was a better player when they were both in the prem and is about the same age. I agree Ollie, he struggled the first time round and he was mid-twenties then. Kilbanes not a bad shout either Syndex. Fast, agile and an eye for goal…oh hang on.